Hasbro's Marvel Universe line shows no sign of losing steam, with new characters still being introduced to the line each wave. 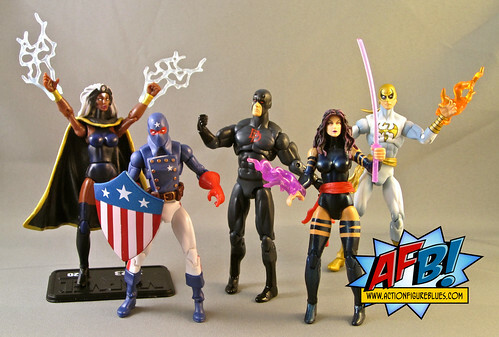 Tonight I'm reviewing Marvel Universe Wave 17, which is another great addition to Hasbro's 3 3/4" Marvel offerings. 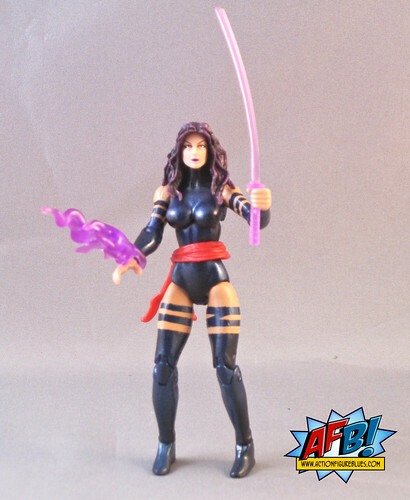 Psylocke is brand new to the line and is a standout figure in the wave. I have been very impressed with some of the quality female head sculpts Hasbro has been able to achieve at this scale, and this is one of the best we've seen. Her hair is very nicely sculpted and there is a pleasing amount of detail in her face with complimentary paint apps. Psylocke comes with two accessories - a power blast and her psychic blade, and a named display base - something that seems to be going away in the line and which I will miss a great deal. 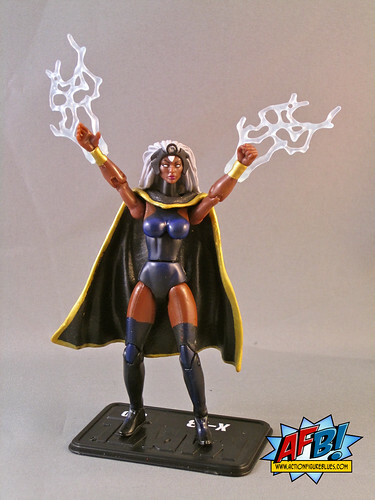 The Classic Storm figure has previously been seen in the Giant Size X-Men Box Set, but this is her first appearance as a single figure, and my first chance to have a close look at the figure since I'm keeping my GSXM Set in the box. Most of the elements of this figure are excellent. The headsculpt is great and is supported by great paint work. The paint work falls down, however, when it gets to her uniform. A blue wash has been used with the black base of her gear and the results aren't totally successful. Her bust has ended up mostly blue in contrast to her body suit, and the look isn't the best. Thankfully, Storm's great headsculpt takes one's eye away from this, and she also comes with two lightning blast constructs - a type of accessory that Marvel Universe has excelled in. Whereas I'm never inclined to spend much time fussing with extra weapons, I love the power blast accessories and will always try to use them. 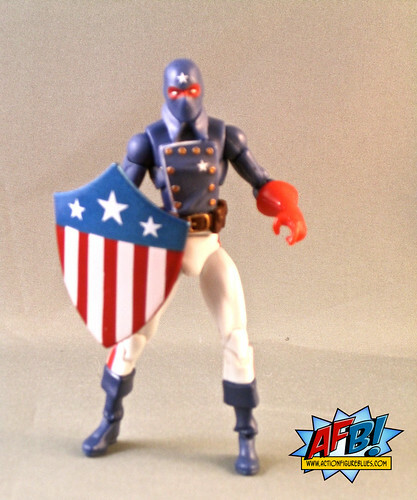 Patriot is a bit of a surprise inclusion, and I hope it means that Hasbro intends to get to the rest of the Young Avengers in time. This is a clever use of parts from several existing figures that ends up feeling brand new with different paint and a tad of custom sculpting. Once again, paint is excellent on this piece. The rivet buttons that border his tunic aren't quite sculpted on straight which is a tad distracting. He comes with his shield which is also painted well. I tend to stay away from Marvel Universe repeat characters unless the are significant variants, and there are two in this wave that qualify - they are both simple repaints but each brings us an important alternate version of a key Marvel character. The first of these is a black-suited Daredevil. Hasbro has certainly managed to get some good mileage out of Matt Murdoch, but this is the first version of Daredevil in quite some time to make the grade for my purchase. I was keen to have this version of the character, but also to have him on a larger and better buck compared to his earlier appearances in the line. One thing that continually escapes me about Daredevil action figures is why he always seems to come with numchucks and rarely with his signature billy club. It's such a unique weapon, and seeing as Hasbro likes to have a Daredevil in every third wave, they could certainly get their mileage out of it! 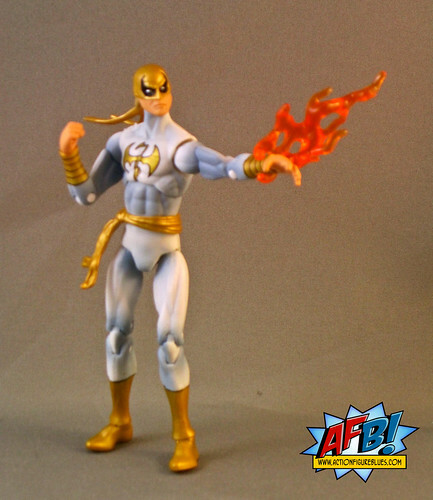 The second repaint is Iron Fist in his white costume. 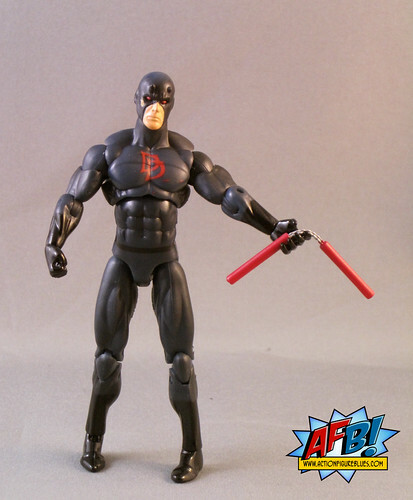 Hasbro has made the most of Iron Fist as well in the line, but like black gear Daredevil this is a very valid variant, and in some ways I think this could be my favourite MU Iron Fist to date! Iron Fist gets a grey wash over his white gear which is much more successful than Storm's wash. He comes with an energy accessory. His chest emblem really stands out on the white background - very effective stuff. Apart from the issues with Storm I mentioned above, the paint apps are solid across this wave. This is always a hit and miss undertaking with the Marvel Universe figures - it seems this wave got a "good factory". A good wave to luck out on this as there are a number of characters with lines and designs in costumes that really could have been spoiled by bad paint work. At present, I don't have a display space for this scale of action figure, but I'm still keenly collecting this line simply because of the breadth and depth of characters being covered. As long as new characters keep appearing in the line, I'm going to keep buying! You can see more pics at Facebook, discuss this at the AFB Forum and comment on this post to enter the AFB Comment of the Month Contest for April! 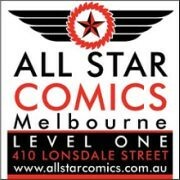 those look cool- STILL haven't seen Psylocke in the wild! This has always been the line that I have been tempted to buy into big time, but have resisted until now. I could easily cherry-pick a great set of figures, but I think the thing that's saved me (and my wallet) has been the incredibly poor store distribution, so thank god for either people who buy whole waves the day they're pegged out or just bad distro. Favourites in the line (and related lines) so far have been dr strange and the snowboarding spider-man. just love his red-webbed snowboard boods and the cute little hoodie!